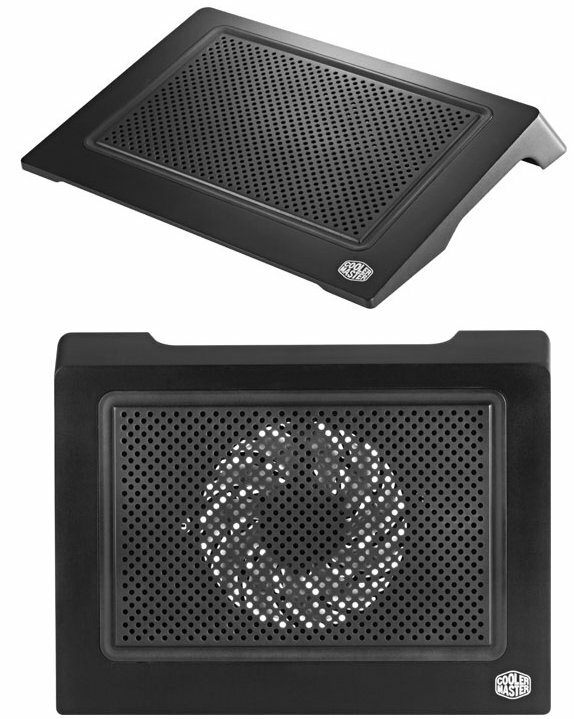 Cooler Master presents the NotePal D-Lite, a cheap laptop cooler htat will retail for only $9.99. The cooler supports laptops of up to 15" and features a 140mm fan that delivers an airflow of up to 46.8CFM at a noise level of 21dBA. Cooler Master, an industry leading chassis, thermal solution, peripheral, and accessory manufacturer today announces a new member of the NotePal Series of laptop coolers, NotePal D-Lite. Well suited for the home or office, NotePal D-Lite keeps laptops up to 15” cool and quiet with its large 140mm fan. It features an ergonomic design that supports better viewing / typing angles for longer, more comfortable, sessions. Users will immediately notice that the NotePal D-Lite is built from sturdy, yet lightweight, materials that make it easy to travel with and store when not in use. Laptops come with precious few USB ports. Knowing this, Cooler Master Engineers included a USB pass-through connector that will power the NotePal D-Lite and provide access for another USB device. NotePal D-Lite comes in among the best budget-friendly laptop coolers on the market with a MSRP of $9.99. Expect to see NotePal D-Lite on store shelves in select regions soon. This information applies to the U.S. and Canada only. Price and availability may vary by country and/or region.